With over 5,000 cases under our belt, across various industries, we've covered a lot of ground. Learn more about Simpluris' systems, processes, software, and data. Ben Hur was the best-selling novel of the nineteenth century, surpassing Harriet Beecher Stowe’s classic Uncle Tom’s Cabin. Yes, class action litigators, there was once a time there were no Federal Rules of Civil Procedure regarding class actions. Federal Rule of Civil Procedure 23 was first adopted in 1938. Until that time, litigants relied upon court decisions and Federal Equity Rules for the width and limitations of class actions. Two major U.S Supreme Court cases guided attorneys before the 1938 rule adoption, Smith v. Swormstadt (click here for Simplurlis link) and Supreme Tribe of Ben Hur v. Cauble, decided in 1921, and the subject of this article. So, we take a look back. Why the Name ‘Supreme Tribe of Ben Hur’? Everyone knows the Charlton Heston movie, Ben Hur. (It worth the watch). But many do not know that Ben Hur was the best-selling novel of the nineteenth century, surpassing Harriet Beecher Stowe’s classic Uncle Tom’s Cabin. And Civil War aficionados know its author, General Lew Wallace, commanding Union forces with Grant and Sherman at the North’s first major victories, Fort Henry and Donelson, making Ulysses S Grant a household name. A few months later at he also commanded at Shiloh, which at the time was the bloodiest battle ever fought in the Western Hemisphere. Back home in Indiana General Wallace was a local hero, both for his Civil War exploits and his authorship of the novel. The Supreme Tribe of Ben-Hur was an Indiana based fraternal benefit association, a unique breed of mutual life insurance company formed in 1894 for the purpose of providing death benefits to appointed beneficiaries from assessments paid by its members. General Wallace was approached by those forming the association and agreed to the name, with his publisher’s permission, but initially objected to the name ‘Knights of Ben-Hur’ as knights did not arrive in the historical lexicon until the later Middle Ages. He suggested ‘Tribe of Ben-Hur’ instead, which was readily accepted by the organizers. When the ‘Tribe’ first formed in the mid-1890s it was very popular. However, over time membership receded. Younger potential members were cautious about joining as they were concerned about subsidizing the older members and that their designated beneficiaries would see nothing. In 1908, the Tribe was considering bankruptcy, but as an alternative to attract new members created two classes of membership, with the older members designated as Class A, and future members as Class B. The two classes paid different rates (Class A rates were higher) and the funds were kept separate. As a fraternal organization, they did not have the same funds on hand requirements of a conventional life insurance company. Hence, the fund can only stay solvent if new members continued to join. Do you smell a class action brewing? Five years later a Kentucky citizen, George Balme, and 523 other Class A plaintiffs living outside of Indiana brought a class action suit in U.S. District Court in Indiana under federal diversity jurisdiction, challenging the reorganization as ultra vires and violating their vested contractual rights. They lost, meaning the court affirmed the reorganization. In 1919, Aurelia Cauble and other members of Class A, all Indiana citizens, brought another class action suit in Indiana state court, essentially with the same challenge. The problem arose of multiple suits on the same issue with other associations similarly raising assessments. The circumstances were certainly unfair, and vast numbers of members affected. Courts were faced with the problems of the same issues would be relitigated time and again by different groups of plaintiffs. But Ms. Cauble and others similarly situated were not parties or even aware of the other lawsuit. How could she and her other class members be bound by the Balme decision? In all cases where it shall appear … that person who might otherwise be deemed proper parties to the suit, cannot be made parties … because their joinder would oust the jurisdiction of the court … the court may … proceed in the cause without making such person parties, and in such cases, the decree shall be without prejudice to the rights of the absent parties. When the question is one of common or general interest to many persons constituting a class so numerous as to make it impracticable to bring them all before the court, one or more may sue or defend for the whole. The court then compared the rule against the former provision which stated “[b]ut in such cases the decree shall be without prejudice to the rights and claims of the absent parties” and had been removed, providing the opening for the rule preventing duplicative actions. The court found that “a class suit of this nature might have been maintained in a state court, and would have been binding on all of the class, we can have no doubt” finding that the rights of Mrs Cauble and her class “were duly represented by those before the federal court … Being thus represented, we think it must necessarily follow that their rights were concluded by the original decree,” and concluding that “the decree when rendered must bind all of the class properly represented.” However, no ‘adequacy of representation’ standards existed at the time and was not addressed in the court opinion. The possibility that conflicts of interest existed between represented and unrepresented association members was also not considered. The Ben-Hur court also found that if the Indiana citizens had intervened it would not have destroyed diversity jurisdiction. The High Court’s opinion was couched in terms of resolving the federal jurisdictional issue by looking only to the citizenship of the class representatives, not the members. It has been criticized in scholarly journals for not properly considering the unique role of mutual benefit associations. Additionally, these latter day commentators wonder why the case was not brought under receivership proceedings which could have resolved matters for association participants in a single proceeding, with the ultimate demise of the association. History does not reveal any discussion of legal malpractice discussions. The Ben-Hur decision was quoted by the FRCP Rule 32 1966 Advisory Committee Notes and although occasionally criticized is still considered valid precedent by the U.S. Supreme Court. General Wallace served on the military commission regarding the trials of President Lincoln’s assassination conspirators and served as military governor of New Mexico where he finished the Ben Hur manuscript. And if you remember the movie Pat Garret and Billy the Kid, (Bob Dylan -Knockin’ on Heaven’s Door) Governor Wallace was played by Jason Robards. Wallace went on to become U.S. Minister to the Ottoman Empire, and after that service returned to his native Indiana. His home in Crawfordsville has been designated as a National Historic Landmark. The original Ben-Hur movie of 1959 and won 11 Academy Awards, including Best Picture, Director, Supporting Actor, Musical Score and Cinematography. Let’s say it swept the Oscars. 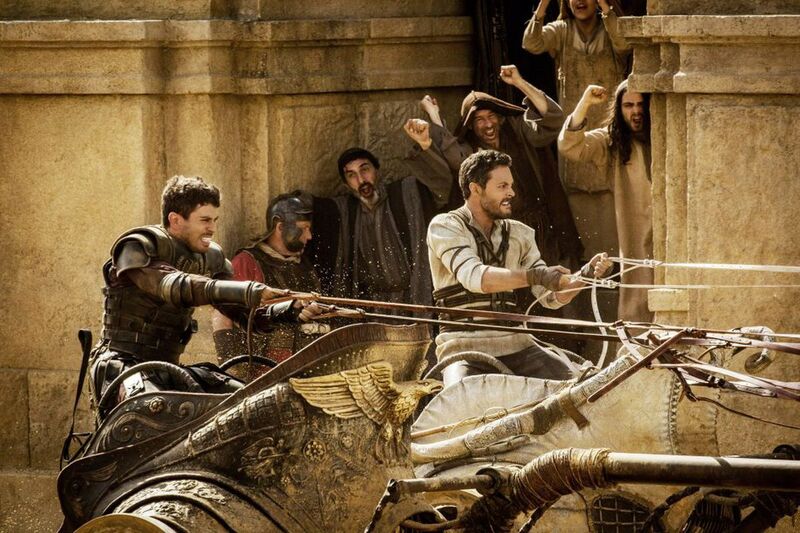 Ben-Hur was remade in 2016. It was a colossal flop. Over the years the Supreme Tribe of Ben-Hur association succumbed to the pressures of Internal Revenue Service fraternal organization nontaxable status issues and moved to become a commercial company. Today, the successor entity of the Ben-Hur fraternal organization is a commercial company, USA Life Insurance Company of Indiana, created in 1988. Aurelia Cauble’s post-lawsuit life is unknown. We're excited to learn about your business. First, a bit about you. , do any of the following times work for you? All times are . Please allow for 30 minutes. Please select at least one time slot. OK to call me sooner. Thanks , we look forward to meeting with you ! Check your email for a calendar invitation attachment for this meeting. Privacy | Cookies | Terms & Conditions © Simpluris 2019. all rights reserved. We’re excited to learn about your business. Times listed are . Please allow for 30 minutes.